In the telecommunications industry, a DID number is a direct inward dial number. 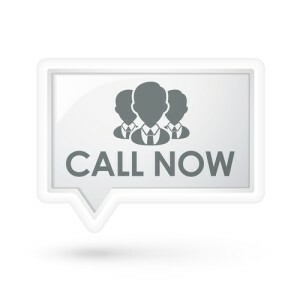 Callers who use a DID number do not go through an auto attendant or a receptionist who redirects calls, but directly to the right department or individual. They provide easy access to staff members who are not typically on the phone. DID numbers are actually virtual numbers. They offer you the option to give certain individuals direct lines without needing several phone lines. This makes telephone service more cost effective for your business. DIDs offer significant advantages to your company. SIP Trunking is used to bring you virtual DID numbers. This technology can save you significant amounts of money over traditional phone lines. You will have a few physical trunk lines and the rest will be virtual lines. Your DID numbers can be used for faxes and voice mail, in addition to traditional uses. DID numbers are one of those unique and very helpful features that you can get with your Halloo account. In fact, you can have multiple DID numbers for your small business. They are very helpful for various aspects of your business. Being able to track your marketing efforts is crucial to knowing what strategies were successful, and which were not. By assigning DID numbers to your different marketing efforts, you can see exactly how many calls resulted from those campaigns. You will quickly and easily see what works and what doesn’t. Quite often a company only has a few DID numbers, with most calls going to a main line, which can be picked up by whomever is available. With a DID number, the caller is directed to one individual or a department. That means callers with the DID number often get much better service. Not everyone who calls a business needs a direct line to executives, but those who do need such numbers will appreciate being able to easily reach their intended contact quickly and easily. Anything you can put on your side to attract customers is a good thing. You can purchase local DID numbers for your business, for any locality whether or not you actually have a presence there. A local number is very attractive to customers who see you as a local provider. Your number will be chosen over toll-free numbers and long distance calls almost every time. Get DID numbers for your business to transform your ROI and better customer experiences today. This entry was posted in Local phone numbers, Marketing, Small Business, Virtual Phone Systems and tagged DID numbers by daniel. Bookmark the permalink.